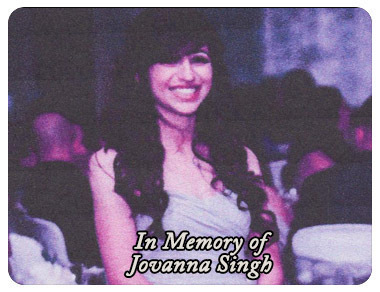 Message: In loving memory of Jovanna Singh, In lieu of flowers, the family requested donations to be made to the Lucy Pet Foundation, Jovanna‘s favorite Animal Foundation. Jovanna had such a love for animals and had talked about volunteering for the Foundation and was much loved by all who were in her life. During this time, the family realizes how much our family and friends really mean. Your sympathy will always be remembered. Thank you too, Vera Garcia, Melissa Roybal, Rebecca Romero, Robert and Estela Dallons, Gurcharan Singh, Jasbir Kaur, Marcia Newman, Mario and Silvia Scheel, Toni Wessel, Jose and Rosa Cortez, Mario Montes, Cindy Herrera, Thomas and Maria Wisdom.